In the wake of the decision to open all roles of the ADF to women, much attention has lingered on the physical and psychological dimensions of close quarter combat. 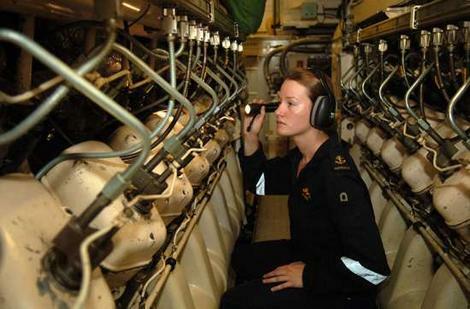 There are legitimate concerns about this, and I will examine them in forthcoming posts, however less attention has been given to the strategic implications of opening up all roles in the ADF and the contribution of female personnel. KRISS Vector SMG for the Australian Federal Police? In writing this post I consulted a senior representative from KRISS USA, as well as a serving member of the AFP who is familiar with current TRT practices. Their identities have been withheld at their request. I also requested an official comment from the AFP, but only received the following from a spokesperson: “For operational reasons, it would not be appropriate for the AFP to provide this type of information about its accoutrements and their use”. 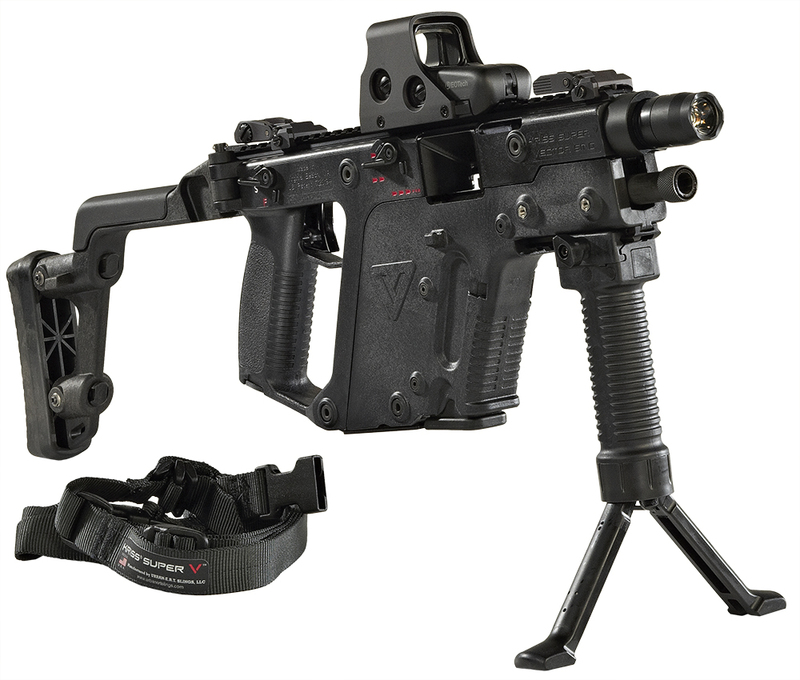 By now, most people interested in small arms have at least heard of the KRISS Vector; in fact, the KRISS Vector SMG caused quite a stir when it was showcased in early 2007. It is a selective fire submachine gun featuring single, two-round burst and fully automatic modes, and chambered (currently) for .45 ACP. It has a cyclic rate of 850-1100 rounds per minute, and fires from a closed bolt using a mechanically-delayed blowback system. Built around the KRISS Super V System (KSVS), the Vector utilises in-line design and asymmetrical recoil (the ‘vectored bolt’ technology) to greatly reduce felt recoil and muzzle climb. KRISS themselves claim that the KSVS can reduce felt recoil by up to 60%, and barrel elevation by 95%; the claimed muzzle rise is about 1.8 degrees. I attended SHOT Show 2011 in January, and had the opportunity to examine and fire the Vector SMG for myself. Whilst there are many others who have spoken on the relative merits of the weapon, I was very impressed. The Vector SMG was comfortable, well balanced, and controllable during fully-automatic fire. What really impressed me, however, was the accuracy of the weapon when firing two-round bursts. The KRISS website shows the rather impressive outcome of one such burst here. In certain scenarios, the practical applications of being able to put two .45 ACP rounds on target with lightning speed and precision are very significant indeed. As discussed in this earlier piece, Kalashnikov AK-103s have been sighted in the hands of both pro-Qadhafi forces, and the rebels/National Transitional Council in Libya recently. I had advanced a theory that the rifles had either been sent from Russia, as pre-production samples related to this arms deal, or been manufactured in Libya for the same reasons. Nicholas Marsh, from the Norwegian Initiative on Small Arms Transfers (NISAT) picked up the story and has since been keeping an eye on it. As Marsh points out in a recent post, an August 31st photo in the New York Times (detail of which is above) shows AK-103s resting in a crate bearing some interesting shipping information. Most notable is the supplier, ‘Rosoboronexport’, the Russian state-owned arms exporter. The customer is listed as ‘Procurement Department, Tripoli, Libya’. The ports of origin and arrival are consistent with what would be expected. There appear to be ten rifles in the crate, the standard shipping number, and what appears to be wax paper can be seen at right. The crate pictured is numbered as #6524 out of 11380. Working on 10 rifles per crate, that equates to 113,800 from this particular contract. Of course, to be certain that these assault rifles were actually contained within the crate shown we would need some more information from someone on the ground. Ideally, we could match the contract number on the crate to the relevant paperwork, and see what the crates originally contained. Of course, this is a lot easier said than done. I have sent an email to Rosoboronexport seeking further details, but it is highly unlikely I will receive a response. But, as Marsh rightly points out, for the purposes of providing a pointer to where further research is required, this photo is enough for us to assume the rifles were sent to Libya under an authorised export deal with Russia. Security Scholar Forum: What is a Civilian Strategist? As part of a new initiative, Security Scholar is now hosting monthly online forums on security, strategy and military-related issues, bringing scholars, practitioners and commentators together for debate and discussion. It was our pleasure to host the first of these on 25 August on the topic of “What is a civilian strategist?”, an issue that has grown out of a series of blog posts and comments (started on the Lowy’s Interpreter and continued on Security Scholar, Rethinking Security and Pnyx), driven by the observed disjuncture between the development of strategy and implementation of policy and what role civilian strategists play in that interface. Our aim has been not only to extend discussion beyond defining ‘civilian strategist’, but also to unpack a key area of civil-military relations (comparing the systems of three liberal democracies) and reach consensus on the function and utility of civilian strategists. 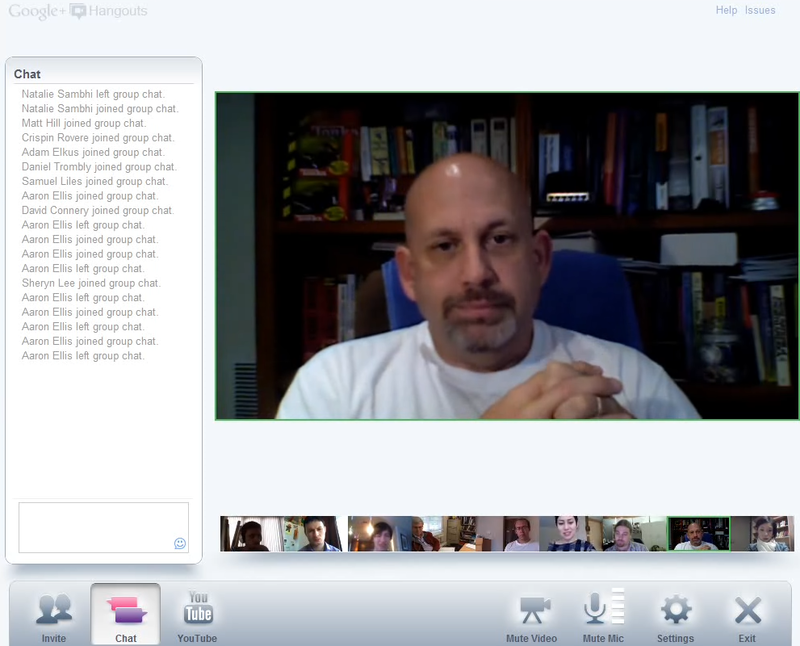 The hour-long forum, held over Google+, hosted guests from Australia, the US and the UK, from academia, the blogosphere and the Twitterverse, moderated by the Security Scholar team. Several points emerged from the debate. First, what struck us was the interest in this topic; this has been an issue that has generated similar levels of concern amongst our US and UK contemporaries, as it has here in Australia. There was general consensus among participants that the role of civilian strategists was crucial in interpreting and implementing government’s intent into operational-level action. Second, when compared to the blog exchanges, there was the shift in the online discussion towards whole-of-government/interagency issues. While the lexicon between international participants differed, it was clear that we all identified the interagency nature of contemporary security issues and appreciated that the increased involvement of non-military actors dictated that the role of civilian strategists was indispensable. Third, we quickly agreed that the meaning of ‘civilian strategist’ depended entirely upon what level of decision-making we were are addressing; that is, at the higher levels of national security, decision-making was seen to be exercised predominantly by civilian rather than military strategists, whereas at lower levels, the ratio tips in favour of military strategists. Professor Samuel Liles pointed out the crucial role played by civilians in the National Security Council Deputies Committee in determining issues national security in the United States. Moreover, Samuel and Dr David Connery noted the role that their respective education institutions—the Information Resources Management College at the National Defense University and the National Security College at the Australian National University—played in creating and shaping civilian strategists (a considerable proportion in the case of NSC). Whilst we did not come to a concrete definition of a ‘civilian strategist’, there are a few key characteristics we feel all parties agreed upon. All participants agreed that such a person must be a civilian (that is, not a currently serving member of a nation’s armed forces). They must also either make, or directly influence, strategic level decisions (although there was some discussion about the various ‘levels’ of strategy). While the distinction was made between those who are strategists and those who are policy makers, what is less clear is the distinction in practice between strategy and policy. Such confusion has led to a misunderstanding not only of who civilian strategists are (given rise to the debate in the first instance) but also what they do. Overall, we were delighted to be able to host thinkers from around the world, and we hope that some of the points that have been raised will continue to stimulate discussion. Ultimately, by lending legitimacy to the role of civilian strategists to help overcome mistrust and misunderstanding with uniformed peers, we can encourage greater cooperation and implementation of a holistic and cohesive national security strategy. Crispin Rovere: … I’m just sort of wondering what everyone else’s thoughts are on whether civilians are capable, or can, or should, be involved in operational matters as well. Nic Jenzen-Jones: … When you say ‘operational matters’ are you referring to solely traditional military operations? Or are you talking cyber-operations and these sorts of things? Because there are certainly a lot of areas now where civilians are the norm, rather than the exception. Sam Liles: You should bring up special operations, also. David Connery: Or are you talking about procurement decisions and budgeting decisions? You really seem to range over a whole range of areas there… In some cases, civilians are better equipped to tell what’s the better fighter aircraft; they’re the engineers that have done that training, whereas the pilots can give opinions on which is better to fly, or to deploy. Nic Jenzen-Jones: And I guess what always springs to mind for me, is that you’ve got law enforcement professionals in that spectrum as well. You’ve got FBI agents out there overseas, you’ve got DEA agents over in Afghanistan and so on, and you’ve got AFP all over our neck of the woods. They are obviously civilians, and are conducting operational-level thinking. Matt Hill: Yeah, I think that’s a really important distinction to make here. I think this is where we can fall into a trap when we talk about civilian strategists, in that we make the civilian strategy divide such that we put the military at the ‘means’ point and the civilians at the ‘ends’ point. The reality is the military is one means amongst the national capabilities, and the vast majority of those capabilities are in fact civilian. There is actually a greater penetration of civilian involvement all the way down the spectrum, from strategy right down to the tactical level, which you’re not going to see necessarily from the military. Sam Liles: I’d like to add one thing. In the military lexicon, we have the DIME model – the Diplomacy, Intelligence, Military, Economic model – that’s discussed in depth. But there’s also another one, the MIDLIFE [AKA ‘DIMEFIL – ed.] model. That’s Military, Economic, Diplomacy, Law enforcement, Intelligence, Financial and so on it goes. That law enforcement piece is very important because often, at the diplomacy level, if you want to get a change made you need to take in something other than a military brew to act within another country’s borders. So an FBI, or DEA, or shared use case with a share concept of operations will be able to work in a way that a military wouldn’t. So when you’re talking about strategies, it doesn’t always have to come back to we’re going to blow something up, kill people, break things – it can also be in the order of “we’re going to help you guys arrest the bad guys and clean up the streets”. That’s still enacting a strategy, maybe by a civilian organisation. David Connery: Yeah a great point there by Matt, ‘military strategist’ is really confusing the means with the ends, it’s making the means predominant. Picking up on Sam’s point there, truly national strategies employ instruments of national power; the DIME formulation is really far too narrow. I’m not sure, Sam, of the MIDLIFE model but I will google that pretty shortly. But yes, a strategist needs to understand how to employ every tool available to the nation – and beyond the state – including what’s available in the private sector, what’s available in the community sector, and what’s available from your allies overseas, to achieve your political goals. Now, the military is a fine tool, but in the National Security College, we have about 15% of our students are military officers. The rest are representing all of those other agencies that are tools that Sam mentioned. And in that way I think we driving towards a better understanding of ‘how do you implement national security strategy?’, and leave the application of military force to the professionals. Nic Jenzen-Jones: I think looking outside the state is a really important point as well. We’ve got a pretty clear civil-military divide in Australia, for example, but a lot of countries have paramilitary groups, and even law-enforcement groups that border on the military. It might be a lot more black and white for us than it is in other countries. 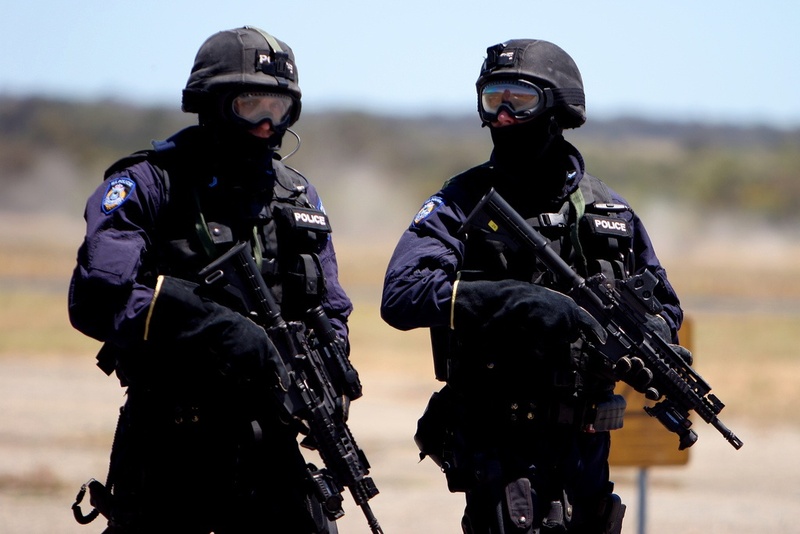 David Connery: Yeah, although in terms of becoming blurred, when you look at the State police ‘STAR’ forces and the Australian Federal Police’s International Deployment Group, the distinctions between ‘civil’ and ‘military’ become a little blurred. Crispin Rovere: Do you think, in certain circumstances, that we’re even bringing civilians more into military operations? I’m thinking here of the CIA drone strikes in Pakistan and it becomes so intensive that we are now at a point where David Petraeus, obviously a life-time general, has now been appointed the head of the CIA. Do we think that perhaps that the whole distinction of armed force, in terms of means, is now becoming increasingly civilian as well? Nic Jenzen-Jones: I couldn’t agree more, mate. I think the Petraeus-Panetta shift is the example that’s on everyone’s mind right now, but even some of the stuff we were talking about before is a good example. These Law Enforcement teams, AFP, DEA, particularly FASTs in Afghanistan and Colombia and so on, are integrating into the local military or paramilitary and acting more or less in a military capacity, as well as integrating into the local law enforcement and mentoring in the traditional sense. And you’ve also got Private Military Contractors, of course. You’ve got huge armies of ex-military guys, who are very clearly now civilians, operating in country – not so much on the strategy level, but still affecting it. If you look at some of the larger companies, Blackwater, previously, and DynCorp and so on, some of the in-country managers are responsible for a large area and are in a sense involved in some strategy in that they are being consulted by civilian and military leaders in country. So these guys have a dialogue going with senior officers and civilian representatives of coalition nations. David Connery: To follow on from Nic there, Private Military Contractors are even setting foreign policy in some circumstances. But Crispin makes an excellent point in ‘what is a military operation these days?’. I can’t think of a single operation that is a solely military activity. And I don’t think there will be again, short of a major international war, where you’ve got to impose the peace. If you think of World War Two as a continuum that lasts through from maybe 1930, to 1955 or 1960, one phase of it was the fighting, but what happened next was the rebuilding of Europe. And although it was military-led in the very early years, there was a transition out of it. So what’s a military operation? Great point. Matt Hill: If I could just follow on that briefly, I think what we are basically seeing, at least thematically, in the problem of defining civilian strategists, is that if we take strategy as being the bridge between the means and the ends of society, we have seen two major dynamics, really, since World War Two. We’ve seen the means; and questions of the means, and in what situations and how the means are deployed has changed dramatically with these non-traditional directions, as well as the change within the military towards professionalization. And at the ends, we’ve seen changes within societies. Dramatic changes in how we operate in Western society. So there seems to be pulling at both ends of that bridge, and they are both hard to reconcile with traditional concepts of strategy. And I think that’s quite a stretch on the concept of civilian strategists, these two dynamics happening at both ends. Feminist and UWA Honours Student (Political Science and International Relations), Jessica Hodder, provided a very considered reply to my original post on females in international relations. I have provided my reply by way of a separate post. These posts form part of a debate spurred by Rodger Shanahan on the Lowy Institute’s blog, The Interpreter. Thanks for the reply. You raise some interesting socio-cultural/socio-economic points related to women in international relations, many of which I agree with. Couple of points, however, regarding under representation and “reconceptualisation”. I think there is a related issue with under representation, that of female exceptionalism which goes some way to explaining why, although under represented (a point of Shanahan’s I do not exactly dispute), women are more visible than men in certain contexts. Female exceptionalism, to me, means that a female (and her work) garners attention simply on the basis that she is a female. The military is an example of such a context. The presence of women is treated as some sort of extraordinary and feted in a very specific way. The use of Female Engagement Teams in Afghanistan is an example of this insofar as they are simultaneously promoted as important inclusion to the modern military but treated as an Other (I have written about Afghan female exceptionalism resulting from FETs in practice here). For the time being, it is not necessarily something that can be helped, but it is something to be aware of. However, the more interesting point of yours I wish to engage concerns the meaning of “reconceptualisation”. First, there is no inconsistency in my efforts to underscore the contribution of a small number of brilliant women in the field while simultaneously highlighting latent discrimination. These women have succeeded, at times, in spite of latent discrimination and female-unfriendly environments. Their participation goes some way in transforming the field but what I observe is that this transformation has not gone far enough to eliminate institutional and cultural inhibitors against greater female participation. This relates to my second point; that, in this regard, “reconceptualisation” is not only necessary, but an inevitable and inherent development resulting from increased female participation. I’ll use an example to illustrate what I mean. The role of diplomat was historically dominated by men. At the very least, there was an expectation that a man could be posted overseas and dedicate his time uninterrupted to the role. Nowadays, there are many more women in diplomacy, many of whom do not, and should not, have to choose between children and career success. Recognising the changing nature of the field and its participants, foreign ministries have responded by reconceptualising the role of diplomats. The duties of a diplomat may not have changed by the ways in which they can be discharged encourages, rather than deters, women from assuming the role without sacrifice. The best example of this (which I came across in 2009 while thinking about my own future choices) is the introduction of job-sharing between diplomats who were husband and wife. With both posted overseas, both are able to develop their careers and balance child-rearing. It is not a perfect system, but it is an example of recognition that, with greater female participation, the field must evolve (lest it lose valuable talent), and the idea of “diplomat” must somewhat be reconceptualised. This is not an aberration of the practice; it is one that is gaining greater currency, evidenced here, here and here. That said, there are many other institutional and cultural inhibitors repelling women that remain untouched. I imagine we both mean and are after the same thing. Noting your final point, however, it will take more than merely “more women” in the right positions. It is about the right women, the right solutions, and ultimately, transformation of the system itself. Image courtesy of US Department of Defense. Feminist and University of Western Australia Honours Student (Political Science and International Relations), Jessica Hodder, provided a very considered reply to my original post on females in international relations. Given the detail of her response, I have published it as a separate post below. These posts form part of a debate spurred by Rodger Shanahan on the Lowy Institute’s blog, The Interpreter. While I agree that there are a considerable number of outspoken women in the international relations field I tend to agree with Shanahan that we remain outnumbered by men in the more influential domain of public lecturing as well as in senior policy and advisory roles in government, think tanks, universities and the public sector (supported by a cursory search of Australian Universities’ IR staff lists). That being said, in my view many of the women who are in those positions are often more visible than the men (for example CSIS’s Africa Program Director Jennifer Cooke, who introduces most of the Africa progam’s podcasts and Samina Yasmeen, who organises more public events than the rest of UWA’s Politics and IR staff put together). I think women’s under-representation in these areas is inseparable from women’s under-representation in senior management and executive roles in the private sector, the persistent gender pay gap, and the low numbers of women entering careers in science and engineering, all despite strong female performance in tertiary entrance exams and more women than men enrolling at university. These are serious issues for society, their causes are deeply rooted in our culture and social attitudes and therefore can’t be resolved without honest and open debate. I welcome Shanahan raising this issue, although I think his attempt at a light-hearted tone was misplaced. I would take this as an opportunity to ask the hard questions that need to be asked, rather than call for a “reconceptualisation of female participation in international relations” in order to argue that women are indeed present. In my reading of Shanahan’s piece he makes a point (in the third paragraph) to emphasise the presence of women in the field and directs his argument mainly at their under-representation. Feminism used to be about securing rights for women; the right to vote, the right to equal opportunity, equal pay, the right to control our sexuality… Women today have all these rights and yet still lag behind men on many indicators. Worryingly we are catching up in some ways we’d rather not: such as higher rates of alcohol consumption among young women, higher rates of violent crime, convergence in smoking rates… Feminist ideas are still relevant today, but they need a rebranding. The legal battle has been won, the cultural battle is far from over. The issues western society is now facing are inextricably linked to the roles of women. Fertility rates have fallen below replacement levels across the OECD, because women, now able to control their childbearing, are choosing to remain childless, delay childbearing (which often results in fewer children or unintentional childlessness) or have fewer children. Our aged care systems which are unprepared to face the coming onslaught of retiring baby boomers, have traditionally relied on low paid or unpaid female labour, our female dominated education systems have produced skills shortages leading to damaging structural unemployment… All this is indication that female social roles are undervalued, as a society we have failed to recognise their true importance and resource them accordingly. These social cues have been picked up, resulting in fewer babies, inadequate provision for aged care, lower quality teachers. Meanwhile, traditionally masculine fields have arguably been overvalued and over-resourced, notably investment banking which has been the source of some high profile problems in recent years. Women’s status within society and the status of what has been traditionally regarded as women’s work is a serious issue for men and women worldwide. This ‘soft’ issue even has a real impact on ‘hard’ issues such as international security, because of the structural problems it can cause. Consider the potentially destabilising impact of the millions of young men in Asia who will never be able to find a wife. Perhaps if there were more women in influential positions in the international relations field, the importance of the status of women in maintaining international stability and competitiveness would receive more attention.